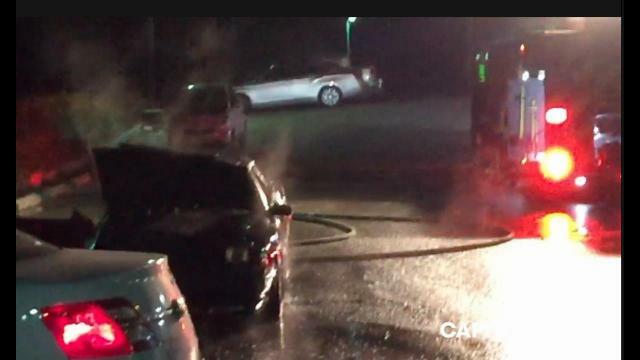 West Kelowna fire crews rushed to the scene Monday night after a car erupted in to flames in a matter of seconds. When crews arrived at the Holiday Inn parking lot off Highway 97 at about 8:15 p.m. the car was fully engulfed. The fire started in the engine department before taking over the car. It was quickly doused by firefighters and both occupants are reported to be OK.